Should Surgeons Disclose Sleep Deprivation to Patients During Informed Consent? The law surrounding informed consent has evolved from asking what a reasonable surgeon would have disclosed to focusing on what a reasonable patient would have wanted to know. Once upon a time, someone asked me: “If it were up to you, how much wine would you let your surgeon drink before, say, taking out your gallbladder? A bottle? Maybe only a couple of glasses? Or would I stop [her] after just a sip or two?” Luckily, I know a trick question when I see one. “I wouldn’t let them drink at all,” I replied, undoubtedly a little too smugly. My interrogator’s retort came back at me just as fast: “So why do you perform operations on anything less than a full night’s sleep?” That smug look was wiped right off my face. It turns out that where sleep and elective surgeries are concerned, things aren’t so simple. 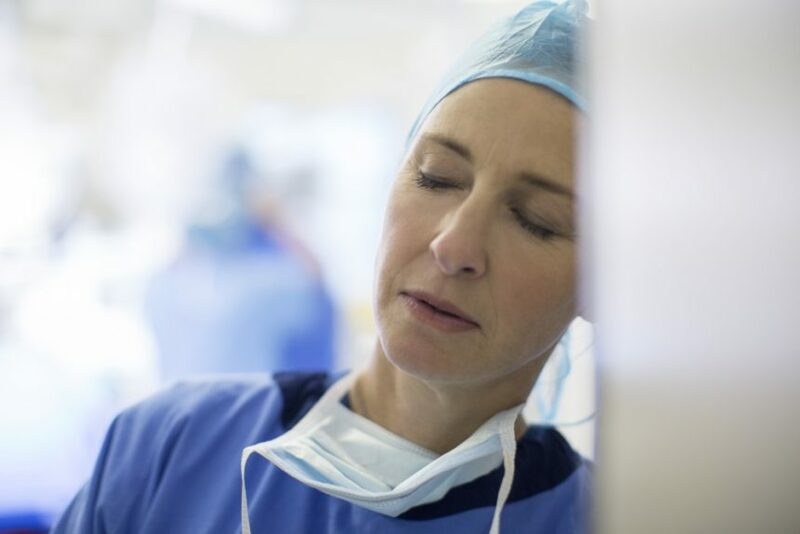 Everyone agrees that surgeons average less sleep than most other professionals, and that scheduling elective operations for the morning after a night on call can lead to performing procedures on zero to little sleep. That’s more or less where the agreement ends. In part, the ambiguity stems from a lack of true heterogeneity in the data. On one hand, there are a plethora of studies — dating back decades — that show that decision making, the ability to maintain attention, and motor skills are adversely affected by both chronic and acute sleep deprivation. My friend’s cholecystectomy-en-vino thought experiment was based on studies equating the effects of what any self-respecting surgeon would consider a relatively moderate amount of sleep deprivation with alcohol intoxication beyond the legal limit for driving.1,2 These results make at least a certain amount of sense to anyone who has ever had to drive a car or even sit through a boring movie after a suboptimal amount of sleep. In a similar fashion, the jury is still out on whether work hour restrictions and night float systems affect patient outcomes. The experiments in this realm are almost uniformly complicated by a variety of potentially confounding factors, including their retrospective and questionnaire-based design, inability to control for the actual amount of sleep obtained in the control groups, and the possibility that surgeons had chosen to postpone cases that they felt unfit to perform. Close more info about Should Surgeons Disclose Sleep Deprivation to Patients During Informed Consent?